This edition of Narrative features an interview from StoryCorps, a unique oral history project that collects the voices of our times. When StoryCorps visited Charleston, Lucy Wichmann talked with her grandmother Marianne Wichmann who grew up in England during World War II and later moved to the states with her husband Fred Wichman. Marianne passed away in 2014 at age 81. In this 2012 interview, Marianne describes her early impressions of America in the 1950s. This edition of Narrative features an interview from StoryCorps, an oral history project where friends and loved ones interview each other. At the StoryCorps mobile booth in Columbia in 2016, L. Kobie Wilkerson talked with his mother Ida Charmaine Wilkerson-Morton about their family and his hopes for raising his two young daughters after her example. This edition of Narrative features an interview from StoryCorps, an oral history project where friends and loved ones interview each other. When StoryCorps visited Columbia in 2016, Licia Jackson talked with her son Jonathan about his time in the military in the early 2000s. This edition of Narrative features an interview from StoryCorps, an oral history project based on the idea that the stories of everyday people are the most important and interesting of all. 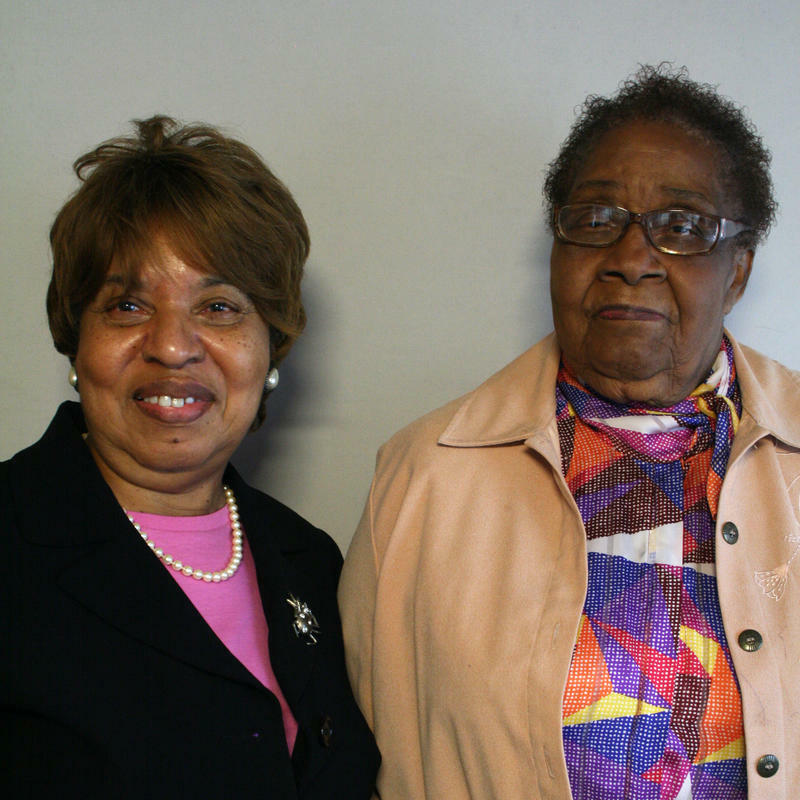 When StoryCorps visited Charleston in 2012, Mary Alice Mack talked with her friend Christine O. Jackson, who was the Executive Director of the Charleston YWCA for decades.